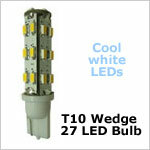 Energy efficient Bee Green LEDTM Bulbs (light emitting diodes) are an earth friendly lighting option. In the Beeginning....light bulbs utilized lots of power and were a sizable strain on battery power and /or electrical resources. Then came the invention of the LED bulb which utilizes a semiconductor that emits light when an electrical current is applied to it. 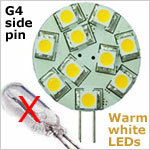 LED needs direct current with the right polarity. The major advantage of this science is how much power it saves. 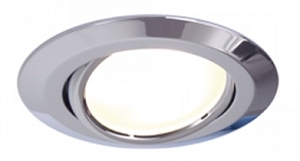 Currently we offer SMD - the next generation of LED. The SMD (surface mounted device) LED gives us a slimmer card, where we can place the diodes closer and get more room on the back for effective DC/DC transformers etc. The result is a card with more light intensity and better light spread with more wavelengths. 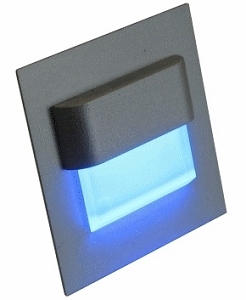 This in turn makes less shadows and better resistance against voltage overload. All of our bulbs are constant current, EMI free and the G4 and Bayonet series are fused for protection from entire circuit outage. 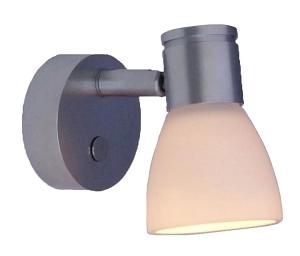 We specialize in bulbs that are specific to the marine, RV and auto industries. We have additional selections available and welcome your inquiries. We continually develop our products to remain in pace with technological advancements, check back with us soon. Thank you for Beeing Green! 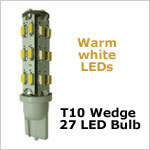 Bee GreenLEDTM Bulbs are certified CE, ROHS and G4 Series are TUV compliant.